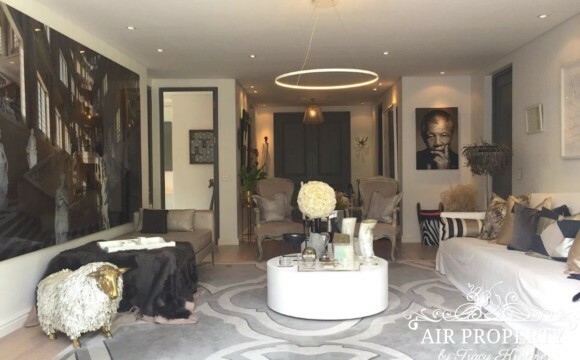 The Royal Portfolio’s newest offering has opened in the Cape Town Waterfront and what a sight it is to behold. 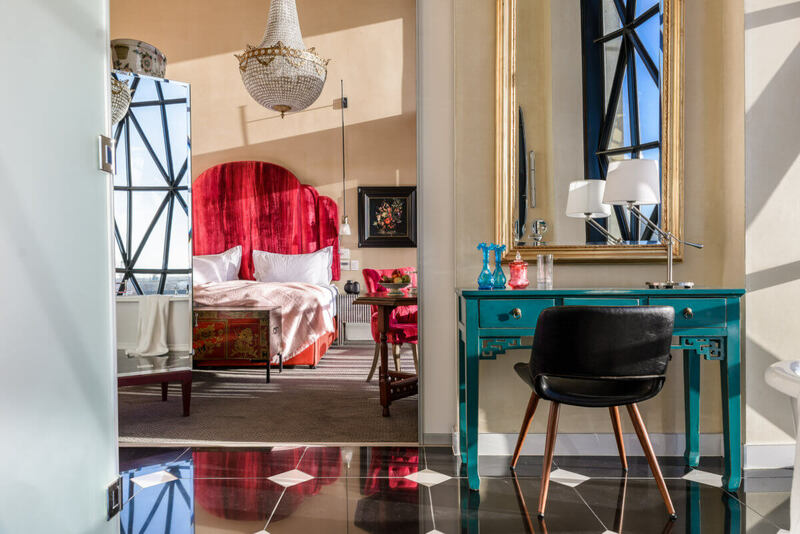 The Silo hotel has been built in the grain elevator portion of the historic grain silo complex occupying six floors above what will become the Zeitz Museum of Contemporary Art Africa (MOCAA). Zeitz MOCAA which promises to showcase some breath-taking African art will open in September 2017. With custom designed pillow windows that offer the most amazing birds-eye view over the dry dock, the marina and the harbour you will find yourself naturally drawn to the windows to take in the views. The Hotel is truly boutique and offers only 28 rooms (suites), but with a wonderful collection of two bedroom penthouses, family rooms and standard rooms. Each room has been personally decorated by the owner of The Royal Portfolio, Liz Biden. 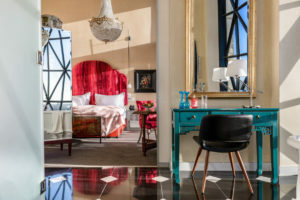 With an eye for the unique, Liz has managed to combine colourful, eclectic pieces that complement the modern, industrial architecture of the hotel itself. Some interesting features abound as you look and move around the hotel, from the original steel beams to the repurposed granary shoots that are placed in the Willaston bar, a true reminder of the creative genius behind the design of this hotel. Situated just above the bar you will find the library with plush couches and chairs and a choice selection of novels. Other notable features in the hotel are the spa, the small, but well equipped gym and the 3 wonderful restaurant choices. On a visit here, take a chance to look at the art that is dotted around the passage ways and in the rooms, you are sure to find something that attracts the eye. Moving to the very top of the building you will find a rooftop bar, it is currently open to the public, but would need to be booked. Exclusive to the hotel guests they have access to the pool on this level and the very top rooftop area with its sun loungers. 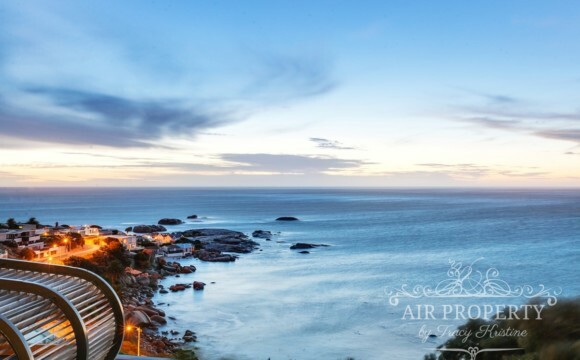 This hotel deserves to be on the bucket list, whether it is for a stay or just for a meal, it is one of the new must-see sights in Cape Town.